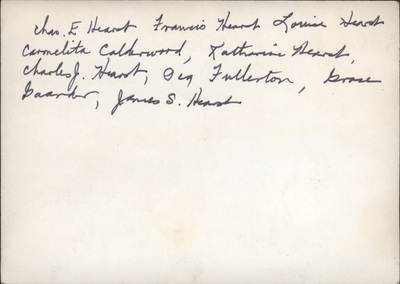 "Charles E. Hearst family photo 2 reverse"
"Charles E. Hearst family photo 2 reverse" (2019). James Hearst Photographs. 10.